In accordance with the General Data Protection Regulation (GDPR), we have implemented this privacy notice to inform you, as a prospective resident of our home,of the types of data we process about you. We also include within this notice the reasons for processing your data, the lawful basis that permits us to process it, how long we keep your data for and your rights regarding your data. information gathered via the pre-admission process such as medical and social history and information from health and social care professionals such as GPs or social workers. You provide several pieces of data to us directly during the pre-admission process. In some cases, we will collect data about you from third parties, such as your next of kin or representative, current or previous care providers, your GP or other health and social care professionals. 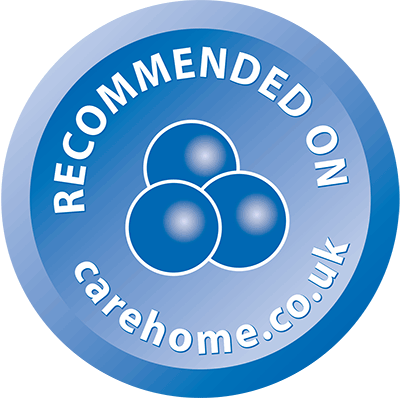 Should you move into our care home, we will gather further information from you, for example, details relating to invoicing and life history. Your failure to provide us with data may mean that we are unable to fulfil our requirements for entering into a contract of with you. This could include being unable to offer you a residential placement in our home. We will only collect criminal conviction data where it is appropriate, where it is supplied to us by a third party and where the law permits us. This data will usually be collected at the pre-admission stage, however, criminal conviction data may be relevant to your care and support and/or your placement. If appropriate we may use your criminal conviction data to determine whether the service is able to meet your needs. We rely on the lawful basis of legal obligation to process this data. Employees within our company who have responsibility for assessing prospective residents will have access to your data which is relevant to their function. All employees with such responsibility have been trained in ensuring data is processing in line with GDPR. We only keep your data for as long as we need it for, which, in relation to prospective residents who do not move into one of our homes, is six months to a year. If we have sought your consent to keep your data on file for future placement, and you have provided consent, we will keep your data for one year after the pre-admission process ends. At the end of this period, we will delete or destroy your data, unless you have already withdrawn your consent to our processing of your data in which case it will be deleted or destroyed upon your withdrawal of consent. If you move into our home your data will be kept and transferred to the systems we administer for residents. We have a separate privacy notice for residents, which will be provided to you.